BROOKINGS, S.D. 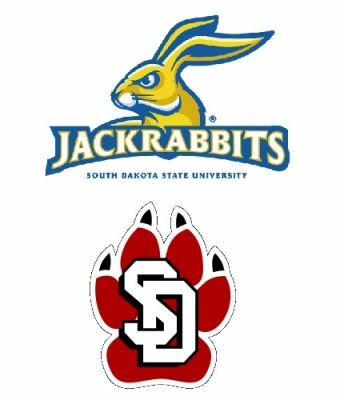 — Freshman Pierre Strong Jr. ran for 253 yards and three touchdowns on just 17 carries and Taryn Christion had three TD passes and ran for a score to propel South Dakota State to a 49-27 victory over South Dakota on Saturday. Strong scored on a 30-yard run on the Jackrabbits' first possession. After Austin Simmons hit Brett Samson for a 3-yard score to knot the score at 7, Strong took a first-down handoff and raced 73 yards for a TD and a 14-7 lead. Christion followed with two scoring strikes — a 20-yarder to Cade Johnson and a 59-yarder to Blake Kunz — to put the Jackrabbits up 28-7 at the end of the first quarter. Christion added a 16-yard TD run in the second quarter for a 35-7 halftime lead. A Christion-to-Johnson 10-yard scoring strike in the third quarter and Strong's 46-yard TD run in the fourth capped the scoring for SDSU.